The countdown to the Oscars continues today as we look at the nominees for Best Director. So as usual, let’s get educated…. The Director is the driving creative force in a film’s production, and acts as the crucial link between the production, technical and creative teams. Directors are responsible for creatively translating the film’s written script into actual images and sounds on the screen – he or she must visualize and define the style and structure of the film, then act as both a storyteller and team leader to bring this vision to reality. Directors’ main duties include casting, script editing, shot composition, shot selection and editing. While the practical aspects of filmmaking, such as finance and marketing, are left to the Producer, Directors must also always be aware of the constraints of the film’s budget and schedule. In some cases, Directors assume multiple roles such as Director/Producer or Director/Writer. Being a Director requires great creative vision, dedication and commitment. Directors are ultimately responsible for a film’s artistic and commercial success or failure. Directors may write the film’s script or commission it to be written; or they may be hired after an early draft of the script is complete. Directors must then develop a vision for the finished film, and define a practical route for achieving it. During pre-production, Directors make crucial decisions, such as selecting the right cast, crew and locations for the film. They then direct rehearsals, and the performances of the actors once the film is in production. Directors also manage the technical aspects of filming, including the camera, sound, lighting, design and special effects departments. During post- production, Directors work closely with Editors through the many technical processes of editing, to reach the final cut or version of the film. At all stages, Directors are responsible for motivating the team to produce the best possible results. Directors must also appreciate the needs and expectations of the film’s financiers. And the nominees for Best Director are…. 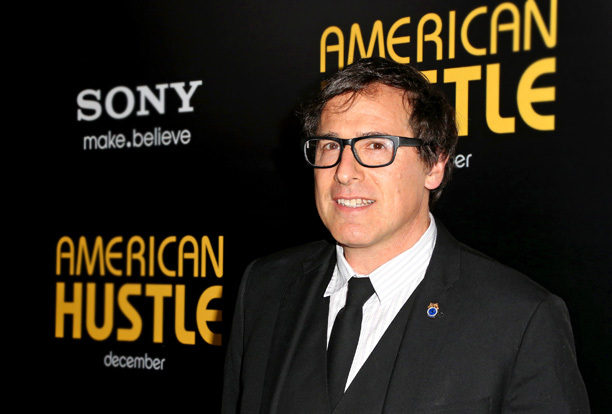 OMG, How I would love to work with David O. Russell. I LOVE his work! David has been nominated for an Oscar three times and I think he deserves to win one soon. Much respect! David Owen Russell (born August 20, 1958) is an American film director, screenwriter, and producer. His early directing career consisted of moderately successful films including Spanking the Monkey (1994), Flirting with Disaster (1996), Three Kings (1999), and I Heart Huckabees (2004). Russell returned to directing in 2010. His three most recent films are The Fighter (2010), Silver Linings Playbook (2012), and American Hustle (2013), which have all met commercial and critical success. These films have earned Russell three consecutive nominations for the Academy Award for Best Director. Russell was born in New York City to Bernard and Maria (née Muzio) Russell. His father was a sales executive for Simon & Schuster. His father was from a Russian Jewish family and his mother was Italian American. He was raised in an atheist household. In 2002, Russell met Andrew Unger while receiving an honorary degree at Amherst College. Unger introduced Russell to Joe Hall, president of Ghetto Film School. After viewing some of the student work, Russell immediately joined the board of Ghetto Film School, located in The Bronx, New York. Along with fellow board members, Russell brought filmmaker friends, movie studios, and industry professionals to donate money and lend their time to teach classes and support the growth of young black and Latino filmmakers from the South Bronx and Harlem. Learn more about the Ghetto Film School here. American Hustle (2013), is a fictional comedy loosely based on the ABSCAM scandal of the 1970s. The film’s plot revolves around skilled con artists Irving Rosenfeld (Christian Bale) and Sydney Prosser (Amy Adams) being forced to work for unhinged FBI Agent Richie DiMaso (Bradley Cooper). Their complicated operation eventually involves Mayor Carmine Polito (Jeremy Renner) of Camden, New Jersey, as well as Irving’s unpredictable wife Rosalyn (Jennifer Lawrence). The film reunited Russell with Bale and Adams after The Fighter, as well as with Cooper and Lawrence after Silver Linings Playbook. Another super-talented director I could only dream of working with one day. Who could resist falling in love with Gael Garcia Bernal in 2001’s Y Tu Mama Tambien?? If living in NYC was not enough reason to learn Spanish, this movie was. Now Alfonso takes us on a scary 3D space ride in Gravity and is very close to winning an award for it. 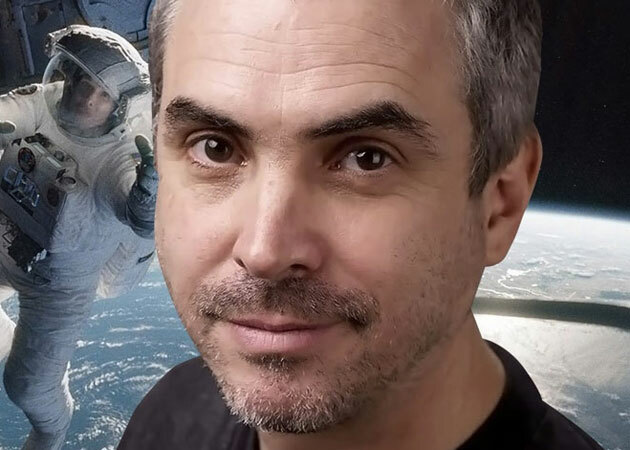 Alfonso Cuarón (born 28 November 1961) is a Mexican film director, screenwriter, producer and editor best known for his films A Little Princess (1995), Y Tu Mamá También (2001), Harry Potter and the Prisoner of Azkaban (2004), Children of Men(2006), and Gravity (2013). His fantasy adventure series Believe is due to be broadcast in 2013–2014. Most of his work has been praised by both audience and critics, and he has been nominated for six Academy Awards: Best Original Screenplay for Y Tu Mamá También, Best Adapted Screenplay and Best Editing for Children of Men, and Best Picture, Best Director, and Best Editing for Gravity. He also won a BAFTA Award for Best Film not in the English Language as one of the producers of Guillermo del Toro‘s Pan’s Labyrinth and the Golden Globe Award for Best Director for Gravity. Alfonso Cuarón was born in Mexico City, and is the son of Alfredo Cuarón, a nuclear physicist who worked for the United Nations’ International Atomic Energy Agency for many years. He has two brothers, Carlos, also a filmmaker, and Alfredo, a conservation biologist. Cuarón studied Philosophy at the National Autonomous University of Mexico (UNAM) and filmmaking at CUEC (Centro Universitario de Estudios Cinematográficos), a faculty of the same University. There, he met director Carlos Marcovich and cinematographer Emmanuel Lubezki, and they made what would be his first short film, Vengeance Is Mine. The controversy caused by the fact that the film was shot in English was not the reason he was expelled from the film school; the reason was that he did not get the authorization to commercialize his film. Cuarón began working in television in Mexico, first as a technician and then as a director. His television work led to assignments as an assistant director for several Latin American film productions and in 1991, he landed his first big-screen directorial assignment. In 1995, Cuarón released his first feature film produced in the United States, A Little Princess, an adaptation of Frances Hodgson Burnett‘s classic novel. Y Tu Mamá También found him returning to Mexico with a Spanish-speaking cast starring Gael García Bernal, Diego Luna and Maribel Verdú. It was a provocative and controversial road comedy about two sexually obsessed teenagers who take an extended road trip with an attractive married woman in her late twenties. The film’s open portrayal of sexuality and frequent rude humor, as well as the politically and socially relevant asides, made the film an international hit and a major success with critics. Cuarón shared an Academy Award nomination for Best Original Screenplay with co-writer and brother Carlos Cuarón. In 2003, Cuarón directed the third film in the successful Harry Potter series, Harry Potter and the Prisoner of Azkaban. It remained as the most critically acclaimed film of the Harry Potter film franchise until the release of Harry Potter and the Deathly Hallows – Part 2. Cuarón’s feature Children of Men, an adaptation of the P. D. James novel starring Clive Owen, Julianne Moore and Michael Caine, received wide critical acclaim, including three Academy Award nominations. Cuarón himself received two nominations for his work on the film in both Editing (with Alex Rodríguez) and Adapted Screenplay (with several collaborators). Cuarón also directed the controversial public service announcement “I Am Autism” for Autism Speaks that was sharply criticized by disability rights groups for its negative portrayal of autism. Ok, I know I am sounding like a broken record now, but could I please have part in an Alexander Payne production??? Sideways is one of my favorite films of all time and I loved the Descendants. 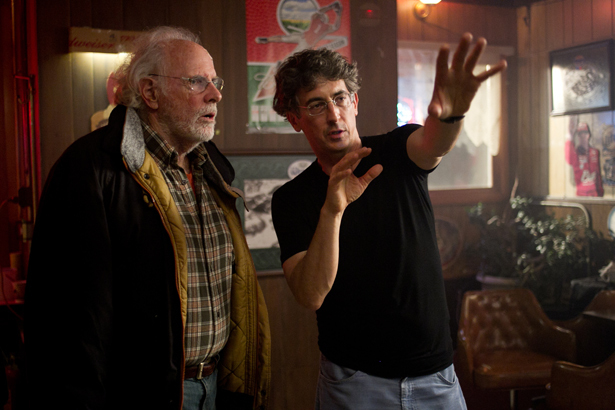 Alexander Payne (born February 10, 1961) is an American film director, screenwriter, and producer, known for the films Election (1999), About Schmidt (2002), Sideways (2004), The Descendants (2011), and Nebraska (2013). His films are noted for their dark humor and satirical depictions of contemporary American society. His father is of Greek and German descent, and his mother is of Greek ancestry.His paternal grandfather, Nicholas “Nick” Payne, anglicized the last name from Papadopoulos. His family comes from three areas in Greece: the island of Syros, Livadia, and Aegio. Payne’s family was part of the fabric of Omaha, which he references as part of his upbringing. His grandfather was one of the original owners who founded The Virginia Cafe, with Payne’s father taking over the restaurant. Payne grew up going there regularly as a child. The Virginia Cafe was a well-known Omaha restaurant that was noteworthy for its connection to historic events in Nebraska at the time: the 1935 streetcar strike, significant sales of Liberty Bonds during the Second World War, and its place—from WWII through Vietnam—for “last meals” to soldiers en route to basic training. It was also open 24-hours a day, which was not common at the time. The Virginia was destroyed in a fire in 1969—the W. Dale Clark Library is located at its former site. Payne’s paternal grandmother, Clara Payne (née Hoffman), was from a German Nebraska family from Lincoln, Nebraska. Payne then attended Stanford University, where he double majored in Spanish and History. As a part of his Spanish degree, he studied at the University of Salamanca (Spain) and later he lived a few months in Medellin (Colombia) where he published an article about the development and the social changes between 1900 and 1930. Payne got his MFA in 1990 from the UCLA Film School. Payne’s journey into filmmaking “began in the 1960s when his father, owner of The Virginia Restaurant in downtown Omaha, received an 8mm projector from Kraft Foods as a bonus for being a good customer.” Payne said that when he was about 14 years old he got a used Super 8mm film camera. A short time after getting his MFA from UCLA Film School—and after his successful thesis film, The Passion of Martin had attracted industry attention—Payne got a writing/directing deal with Universal Pictures. The ensuing screenplay, which was turned down, would ultimately become About Schmidt. Payne sees his talent as being one of learned economy. He refers to the essay written by Tennessee Williams on The Catastrophe of Success. Payne’s films often revolve around adultery in marriage and relationships. He has set many of his films in Omaha. He has scenes of historical landmarks and museums in his films, and tends to use non-actors for minor roles (real cops play cops, real teachers play teachers, etc.). He frequently incorporates telephone monologues as a dramatic device. 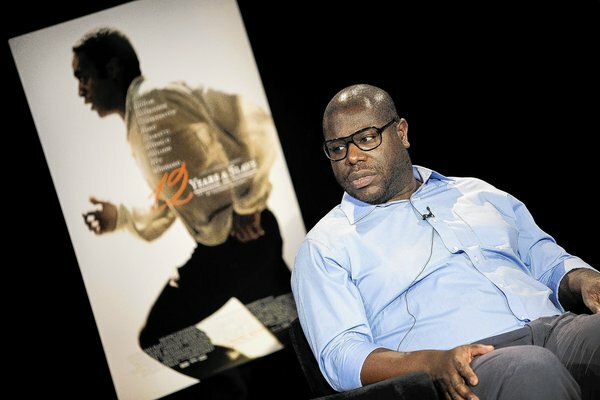 Steven Rodney “Steve” McQueen CBE (born 9 October 1969) is a British film director, producer, screenwriter, and video artist. He is a winner of the Caméra d’Or and two BAFTAs. His 2013 film, 12 Years a Slave, won him the award for best director from the New York Film Critics Circle, the Golden Globe Award for Best Motion Picture at the 71st Golden Globe Awards, and the award for best film at the 2014 BAFTAs. McQueen is known for his collaborations with actor Michael Fassbender, who has starred in all of McQueen’s three feature films as of 2013. For his artwork, McQueen has received the Turner Prize, the highest award given to a British visual artist, and in 2006 produced Queen and Country, commemorating the deaths of British soldiers in Iraq by presenting their portraits as a sheet of stamps. For services to the visual arts, he was appointed Commander of the Order of the British Empire in 2011. McQueen was born in London. He grew up in West London and went to Drayton Manor High School. In a 2014 interview, McQueen stated that he had a very bad experience in school, where he had been placed into a class for students believed best suited “for manual labour, more plumbers and builders, stuff like that.” Later, the new head of the school would admit that there had been “institutional” racism at the time. McQueen added that he was dyslexic and had to wear an eye-patch due to a lazy eye, and reflected this may be why he was “put to one side very quickly”. He was a keen football player, turning out for the St. Georges Colts football team. He took A level art at Hammersmith and West London College, then studied art and design at Chelsea College of Art and Design and then fine art at Goldsmiths College, University of London, where he first became interested in film. He left Goldsmiths and studied briefly at New York University‘s Tisch School in the United States. He found the approach there too stifling and insufficiently experimental, complaining that “they wouldn’t let you throw the camera up in the air”. His artistic influences include Andy Warhol, Sergei Eisenstein, Dziga Vertov, Jean Vigo, Buster Keaton, Carl Theodor Dreyer, Robert Bresson, and Billy Wilder. McQueen’s most recent film is 12 Years a Slave (2013). Based on the 1853 autobiography of the same name by Solomon Northup, the film tells the story of a free black man who is kidnapped in 1841 and sold into slavery, working on plantations in the state of Louisiana for twelve years before being released. Needless to say, Martin has the longest history of all the nominees. But does that mean he is guaranteed a win with “The Wolf of Wall Street”???? This movie was excellent and painful and annoying all at once. A more grimy and distasteful kind of “Good Fellas”, it gave Leonardo Di Caprio the chance to do some of his best work…because you hated him. Well,…I did! I don’t know if I will ever have the privilege to work with Martin, being that I am yet an unknown, but one can dream. Martin Charles Scorsese (born November 17, 1942) is an American film director, screenwriter, producer, actor, and film historian. He is widely regarded as one of the greatest directors of all time. In 1990 he founded The Film Foundation, a non-profit organization dedicated to film preservation, and in 2007 he founded the World Cinema Foundation. He is a recipient of the AFI Life Achievement Award for his contributions to the cinema, and has won an Academy Award, a Palme d’Or, Cannes Film Festival Best Director Award, Silver Lion, Grammy Award, Emmys, Golden Globes, BAFTAs, and DGA Awards. Scorsese’s body of work addresses such themes as Italian American identity, Roman Catholic concepts of guilt and redemption, machismo, modern crime and gang conflict. Many of his films are also notable for their depiction of violence and liberal use of profanity. Hailed as one of the most significant and influential filmmakers in cinema history, Scorsese has directed landmark films such as Mean Streets (1973), Taxi Driver(1976), Raging Bull (1980), and Goodfellas (1990) – all of which he collaborated on with actor and close friend Robert De Niro. Martin Scorsese was born and raised in Queens, New York and his family moved to the Little Italy section of Manhattan before he started school. His father, Charles Scorsese (1913–1993), and mother, Catherine Scorsese (born Cappa; 1912–1997), both worked in New York’s Garment District. His father was a clothes presser and an actor, and his mother was a seamstress and an actress. His father’s parents emigrated from Polizzi Generosa, in the province of Palermo, Sicily, and his mother was also of Italian descent. Her parents were from Palermo. Scorsese was raised in a devoutly Catholic environment. As a boy, he had asthma and could not play sports or do any activities with other children and so his parents and his older brother would often take him to movie theaters; it was at this stage in his life that he developed passion for cinema. 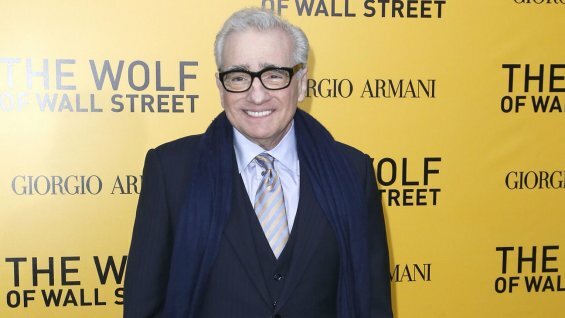 His initial desire to become a priest while attending Cardinal Hayes High School in the Bronx gave way to cinema and consequently, Scorsese enrolled in NYU’s University College of Arts and Science, (now known as the College of Arts and Science), where he earned a B.A. in English in 1964. He went on to earn his M.F.A. from NYU’s School of the Arts (now known as the Tisch School of the Arts) in 1966, a year after the school was founded. Scorsese’s 2013 movie, The Wolf of Wall Street, is an American biographical black comedy based on Jordan Belfort‘s memoir of the same name. The screenplay was written by Terence Winter, and starred Leonardo DiCaprio as Belfort, along with Jonah Hill and Matthew McConaughey, among others. The Wolf of Wall Street marked the fifth collaboration between Scorsese and DiCaprio and the second between Scorsese and Winter after Boardwalk Empire. The film was released on December 25, 2013, and tells the story of a New York stockbroker, played by DiCaprio, who refuses to cooperate in a large securities fraud case involving corruption on Wall Street, stock manipulation, namely the practice of “Pump and dump” and the corporate banking world. The Wolf of Wall Street has been nominated for five Academy Awards, including Best Picture, Best Actor for Leonardo DiCaprio, Best Supporting Actor for Jonah Hill, Best Director for Martin Scorsese, and Best Adapted Screenplay for Terence Winter. This entry was posted in Uncategorized on February 23, 2014 by The Woman Hood.